RedArmyBet brings you the latest betting preview, tips and enhanced odds ahead of the 2019 Bahrain Grand Prix. 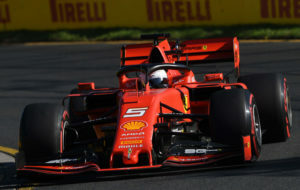 After so much promise in the practice sessions, it was a deflating start to the season for Ferrari as Sebastian Vettel and Charles Leclerc finished fourth and fifth in Australia, nearly a minute behind winner Valtteri Bottas. Team principle Mattia Binotto expects there to be improvements for Bahrain, but it’s a lot of time to make up in just a few weeks. Although it was a surprise to see Ferrari falter, perhaps the biggest shock of all was Bottas’ dominant performance where he overtook teammate Lewis Hamilton to win comfortably. Having played second-fiddle last year, the Finn illustrated a new steely attitude, suggesting we could be in for a similar ding-dong battle to that of Hamilton and Nico Rosberg a few years ago. The performance in Melbourne has seen Bottas shorten in to clear second-favourite for this race, but Hamilton is the five-time world champion, and we expect him to bounce back. Indeed, it is a circuit that rewards attacking driving with scope for overtaking and three DRS zones, and there are none better than the Brit. Despite starting ninth on the grid here 12 months ago, he illustrated this with some audacious overtakes to finish fourth. Therefore, we expect it to be another Mercedes one-two, but this time with Hamilton leading the way. Elsewhere, Red Bull proved they are going to be competitive this season with a third-place finish for Max Verstappen. We tipped up Kevin Magnussen to finish in the top-six in Australia and he duly delivered. Outside the Big Two and Red Bull, Haas look to have the quickest car, so we’ll go in again on the Dane putting in another good performance.